100% of book proceeds support neonatal care and emergency health services in rural communities through Mezu International Foundation (MIF). ObiolaRose Twin Angels Foundation is a subsidiary of MIF, www.mezufoundation.org, a non-profit dedicated to humanitarian services in under-served, resource-limited communities, especially in Africa. Click on each title for link to amazon.com to purchase. What a Fun Day, says OlaRose is a the fourth book in the says OlaRose collection of the Millie Ola Children’s Book Series by the author. Five year old OlaRose shares how she and her mom seek to have fun and be kind in school, work, and play, while holding those dear to them very close to their hearts. OlaRose learns that she gains more joy by helping others. Olachi Mezu-Ndubuisi is a pediatrician, optometrist, and research scientist with sub-specialty training as a neonatologist. She uses her love for poetry and creative writing to nurture the milestones of her daughter, OlaRose, who was born at one pound birth weight, a surviving twin. Olachi also enjoys cooking, traveling and volunteering in humanitarian global health missions. The Spy Kid Squad is a three book series about adventurous 10 year olds, Skylar and her friends Bella and Emily, who accomplish secret spy missions together using each girl’s unique talents. The Lost Diamond is the first book in the series. The girls work hard to stop a villain, Dr. Mirco, from using a special diamond to destroy the city. OlaRose Ndubuisi is an 11 year old writer with a creative imagination. Born at one pound birth weight, a surviving twin, OlaRose always dreams beyond possibilities. OlaRose enjoys writing, sketching, playing piano, and spending time with her family and many cousins – a real life Kid Squad. She loves helping her family at their annual medical mission trips to Nigeria. The Spy Kid Squad series was written by 11 year old OlaRose Ndubuisi, and illustrated by OlaRose’s 10 year old cousin BiancaRose Nnabue. The Spy Kid Squad is a book series about adventurous, smart 10 year olds, Skylar and her friends, Bella and Emily, who go on secret spy missions together. Each girl has unique talents, but they come together as a team to accomplish amazing missions. The Lost Diamond is the first in the series. In this book, a powerful diamond has been taken by Dark Eye, a notorious villain, who could use it to control the world. Can the Spy Kid Squad outsmart Dark Eye and his darkions to retrieve the diamond or is this mission too dangerous for kids? The Spy Kid Squad series was written by 10 year old OlaRose Ndubuisi, and illustrated by OlaRose’s 9 year old cousin BiancaRose Nnabue. 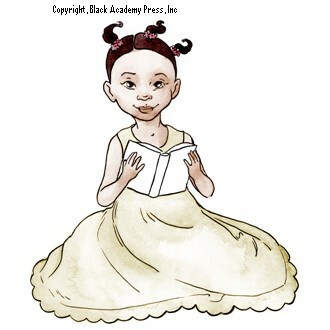 Pure Moments Of A CHILD is a the first book of poems by 9 year old OlaRose Ndubuisi. It is a collection of innocent and loving reflections about God, family, love, and life through the eyes of a child. It is the first book by the author in the OlaRose Series. OlaRose Ndubuisi was born premature at one pound birth weight (460grams). She enjoys drawing, playing piano, reading, and having fun with her many cousins, family and friends. Born Early, Says OlaRose, The Story of OlaRose and Obiola is a beautiful journey into the world of prematurity and life in the nicu through the eyes of OlaRose, a premature surviving twin baby. It brings a surreal and realistic perspective to this experience’ and let’s one appreciate that every baby has a real story to tell. 1,2,3, says OlaRose is a fun way of teaching your little one how to count as well as learn new objects and word association. The illustrations are vibrant and appealing to the young mind. A,B,C, says OlaRose brings the animals alive as it takes you into a picturesque zoo of animals from A to Z. Children will both enjoy and learn through the journey into the world of animals. Odyssey of a Soul … A Poetic memoir by Olachi Mezu-Ndubuisi (aka Millie Ola) is a four book collection of poetry, prose and personal life experiences written over a seventeen year period (1999-2016). It is a story of life, love, loss, and faith. This poetic memoir is an indeed refreshing and soul-searching sequel to the author’s first book of poetry as a teenager, Image of a Soul. We are immersed in it as the child becomes a woman, and gives back to life as good as she gets. Olachi Mezu (aka Millie Ola) is a passionate writer. She published her first book of poems, Image of a Soul and first novel, A Dream Come True, at the age of 19, while a doctor of Optometry student in Nigeria. Other literary publications by the author include the Says OlaRose Series of children’s books (A,B,C; 1,2,3, and Born Early), 2007, and Odyssey of a Soul, a poetic memoir, 2016. She currently practices as a neonatologist and research scientist, and enjoys writing poetry in her spare time. A Dream Come True by Millie Ola is a novel about Oma, a young girl’s plight to escape from the chains of superstitution, illiteracy, feminine oppression and inhumane cultural practices of her rural dwelling to achieve the freedom of education and personal growth that enables her take her place in the ranks of a civilized society and surreal realm of politics. Scars of her origins make her road to true love a struggle between her two worlds, but makes for a gripping romance tale. Black Academy Press, 1996. Odyssey of a Soul … A Poetic memoir is a four book collection of poetry, prose and personal life experiences written over a seventeen year period (1999-2016).